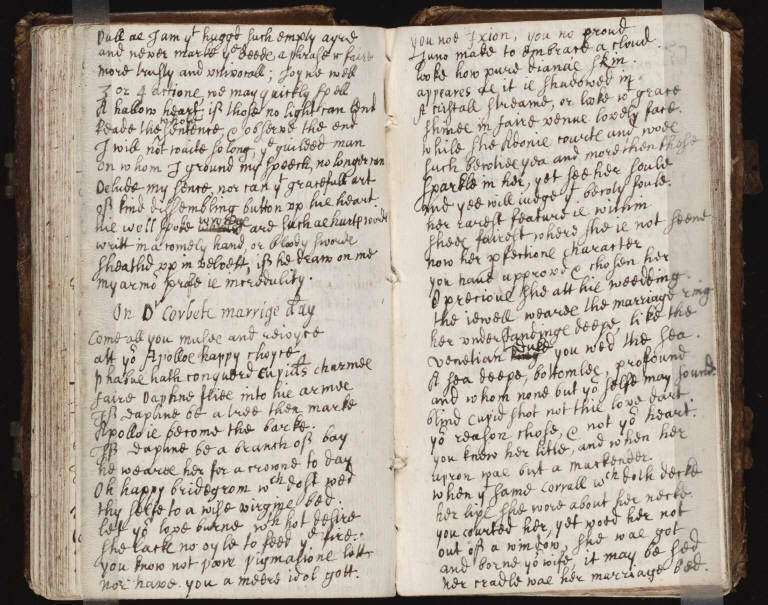 The book hails us from the seventeenth century, some time after the death of King James–there is a poem chronicling the monarch’s demise–and it contains roughly a hundred pages of such transcriptions, the bulk of them poetry and all of them composed in the same measured hand. 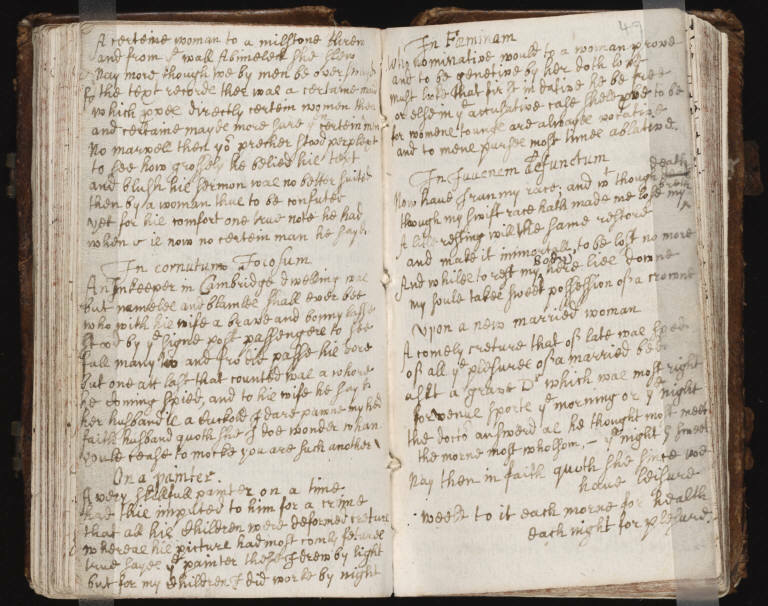 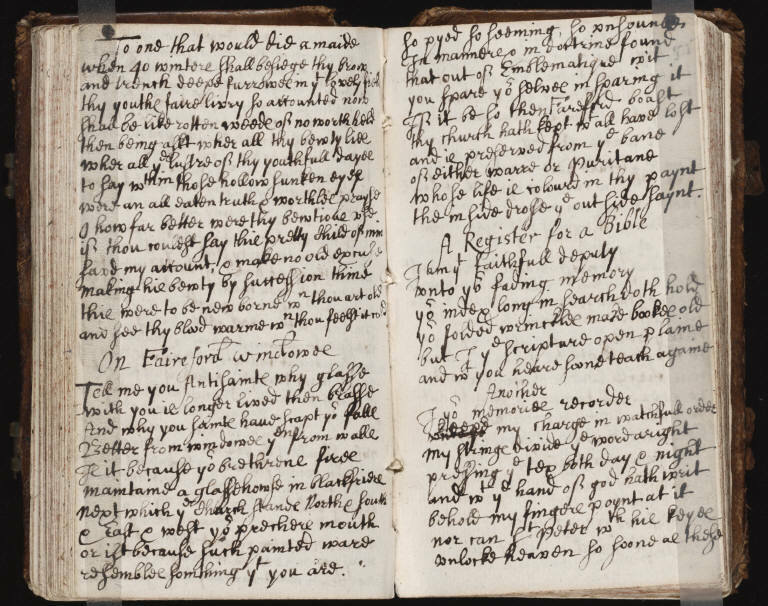 For this anonymous reader, there might have been an expression of ownership involved in such transcriptions, the commonplace book affording a mechanism for taking the poem out of its printed setting and re-preserving it in one’s own hand. 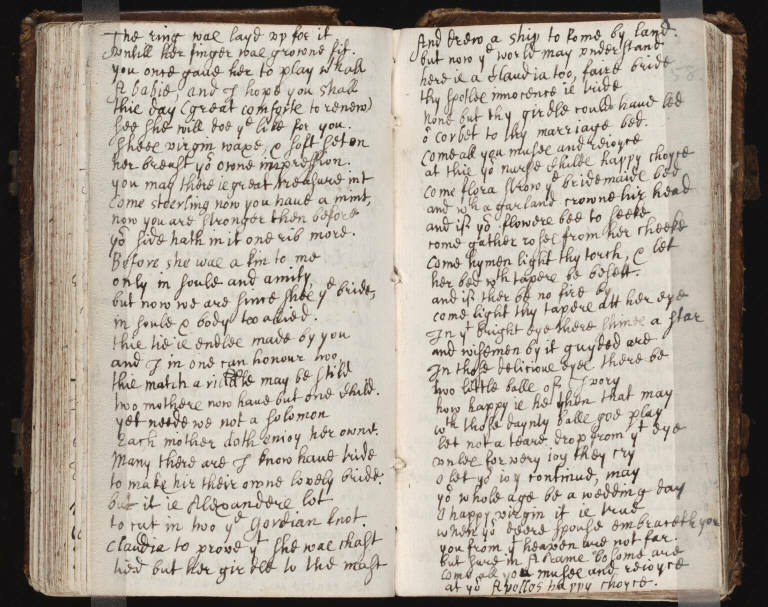 To flip back through the pages of such a book would be to re-live something like the best hit’s of one’s reading, the poetry and sentences one deemed most worth recording. 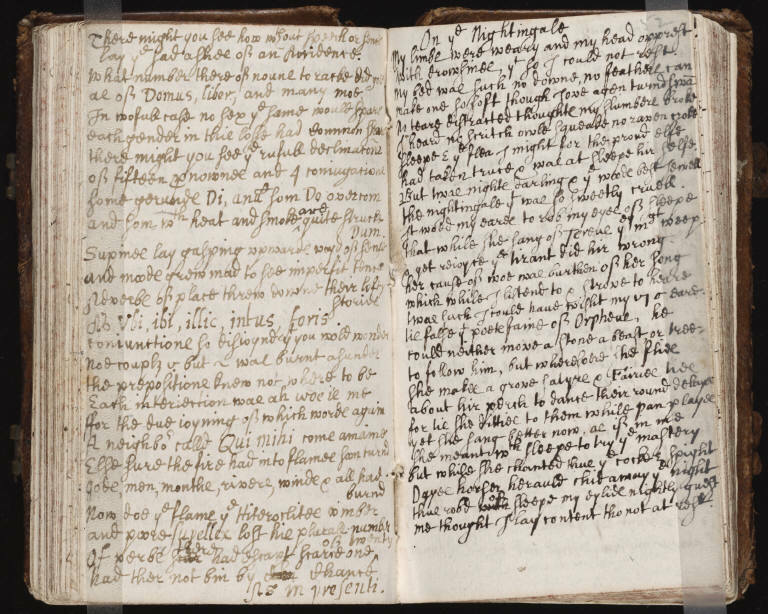 For this reader–and, we might think, for so many more–Shakespeare was just one author among many.